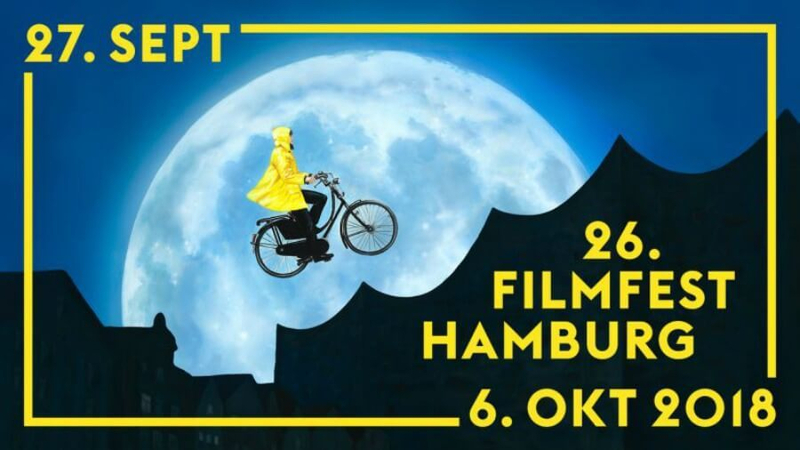 This year’s Filmfest Hamburg coincided with the city’s football derby. A fiercely contested match between the city’s two biggest clubs, the game was a fitting metaphor for a festival undergoing its own identity crisis. CineVue were in attendance, and we’ve run-down our five favourite films at the festival. It’s been seven years since the last meeting between Hamburger SV and FC St. Pauli. Back then, it was Gerald Asamoah’s header that gave St. Pauli the bragging rights, but the rivalry between these two sides has always been about more than just football – it’s a clash of opposites. For many, Hamburger SV epitomise the commodification of the modern game, with their millionaire owner, big money signings and large, impersonal ground situated on the outskirts of the city. Meanwhile, FC St. Pauli’s home, the Millerentor, is nestled in the city’s traditional working-class neighbourhood, and their fans have become famous for their anti-racist, anti-fascist and anti-homophobic political stance. On match day, the animosity between the fans was palpable, resulting in the festival’s main venue, the Dammtor Cinemaxx, being surrounded by armed police. Yet despite all the fanfare the game ended in a disappointing scoreless draw, with both teams adopting a cautious approach to the game. Thankfully, there was no sign of this disunity or caution in the Filmfest Hamburg program. Throughout the festival’s 26-year history, it has always stayed true to its motto of ‘Cinema for everyone,’ something reflected by the programming of David Gordon Green’s Halloween reboot alongside challenging arthouse films like Wang Bing’s Dead Souls – an eight-hour documentary composed almost entirely of interviews with the survivors of Chairman Mao’s ‘re-education’ camps. Boasting twelve permanent and annually changing sections, including a focus on Latin American cinema and a sidebar dedicated entirely to politically motivated films, choosing five highlights from this year’s program was a difficult task, but here are our recommendations from this year’s edition. Official reports state the number of “missing” following the Lebanese Civil War as 2,046, but there remains thousands of unaccounted people. Ghassan Halwani’s impressive debut attempts to remedy that, using a mixture of animation, investigative journalism and guerrilla graffiti to peel back the layers of forgetting. One of the most frequent images in the film is Halwani scrubbing posters from a wall in Beirut to revealing the faces of the missing. He’s uncovering the poster for ‘MISSING. And They Never Came Back…’ an exhibition including the photographs of hundreds of individuals from diverse origins, and political persuasions who disappeared during the Lebanese civil war(s). Using vandalism as an act of remembrance, the image of these nameless faces emerging from the walls is haunting, with Halwani using Beirut’s architecture as a platform to resurrect the ghosts of the forgotten. Postulating a philosophy of looking often absent from portrayals of genocides, Halwani sees buildings as the last witnesses to the crimes of the past. Illustrating the potential of cinema to alter our perception of historic crimes, Erased,___Ascent of the Invisible is a fascinating film about the topography of forgetting. Rithy Pahn’s latest film acts as a perfect coda to his Academy Award-nominated The Missing Picture, although it also serves as a coherent work in its own right. Blending historical research and personal tragedy with a sense of place and piety has become a distinct trait of Pahn’s work, with the director’s lifelong focus on the crimes of the Khmer Rouge resulting in a collected body of work about a genocide not only ignored, but often obscured by more notorious cases of mass murder. At times these elements are rendered in his latest film in highly specific ways, such as the interviews he undertakes with former concentration camp survivors, while at others, such as the rituals he undertakes with local shaman to find the unmarked graves of his family, the film becomes immediately personal and shrouded in tragedy. Once again meditating on ideas of memory and the spirits that wander the Cambodian landscape like undercurrents through the soil, Graves Without a Name is perhaps Pahn’s most personal work to date. A devastating, yet sanguine attempt to exhume the ghosts buried beneath the insurmountable mountain of history. Benjamín Naishtat’s debut, History of Fear, was an experimental portrait of a community tearing itself apart from the inside as the result of a lingering national trauma. It was a murky, profoundly disturbing study of middle-class paranoia that regrettably left audiences as confused and bewildered as the residents they observed. His latest is a far more accessible proposition, an intense, nicotine-stained social thriller, that harks back to the early 1970s to chart the nascent origins of Argentina’s military junta. A symbolic exploration of Argentina during the government’s Dirty War, the film follows a respected lawyer (Dario Grandinetti) who, after a heated argument in a provincial restaurant, finds himself embroiled in a series of dishonourable events. Premiering to critical acclaim in Toronto earlier this year, before going on to win Best Director, Best Cinematography and Best Actor at San Sebastián, Naishtat intelligently employs a range of 1970s aesthetic techniques to illustrate beautifully how privilege, American influence, and fascism make for convenient bedfellows. Dominga Sotomayor Castillo won best director at the Locarno Film Festival for this beautiful coming-of-age story. Rendering Chile’s attempts to reassemble its democracy after the fall of General Augusto Pinochet, the action takes place in 1990, with Castillo focusing on three generations of painstakingly hip, middle-class bohemians who have chosen to hide from reality and live in a secluded commune at the foot of the Andes. As the rest of the nation faces-up to their uncertain future and inescapable past with something resembling cautious optimism, the commune continues to live in blissful ignorance. A finely modulated drama that invites the viewer into an intimate, vibrant community, the film is attuned to the disconnected feelings of post-Pinochet Chileans, in a way that audiences can’t miss, but may be unable to fully comprehend, with Castillo’s lightness of touch allowing only the faintest moments of social commentary to break through. Blurring the boundary between fantasy and realism, We the Animals sees documentarian Jeremiah Zagar move into narrative features. A dream-like adaptation of Justin Torres’ autobiographical novel about a violent childhood in upstate New York, where affection and anger were expressed physically in equal measure, Zagar’s feature debut is an expressionistic portrait of desire, poverty and liberation. Capturing the rhythm and visuals of marginalised America, this lyrical coming-of-age tale combines emotional amplitude with a deep understanding of how society shapes identity, taking the youngest boy’s point of view to exude a sense of wonder and uncertainty as he encounters new experiences and begins to understand his place in the world. Compellingly directed, especially how it employs animation to express the raging whirlpool of emotions its protagonist is experiencing, We the Animals is a quietly moving mood piece that eschews conventional narrative to offer a multi-layered depiction of life on the margins.